Futsal is a fast and exciting small sided football based game that originated in South America in the 1930’s. It is currently the fastest growing indoor sport in the world and the only indoor sport approved by UEFA and FIFA. The name Futsal was chosen by FIFA using a combination of the Spanish word for indoor (Sala) and football (Futbol). The pitch, the ball and the laws of the game of futsal provide a number of benefits to playing futsal. Although futsal is a sport in it’s own right it also has it’s benefits for aspiring footballers. Research has shown that individuals playing futsal will receive the ball 6 times more than playing 11 a side football. More touches of the ball naturally means more development and more fun. The game of futsal regularly puts players into 1v1 situations which require quick decision making to beat the opponent by skill or clever passing and movement. As in modern day football, ball retention is vitally important with poor passing or decision making normally punished. Due to the limited space and being confined by the lines of a futsal court, the game encourages movement and rotation from players as well as a sense of innovation and creativity to create goal scoring opportunities for yourself or your teammates. Our aim is to provide futsal to as many BOYS and GIRLS as possible, irrespective of your age, race, gender, religion, disability, sexual orientation or ability. We strive to provide professional coaching in a safe and fun environment. Coaching children from as young as 3 years of age up to 17 years of age, providing a playing pathway from childhood into adulthood. We want futsal to continue to grow and improve and we want to be at the forefront of it. Players are encouraged to play with freedom and to express themselves without fear of making a mistake. Our coaching programme is designed to let the players make the decisions with pointers and tips from coaches along the way. Futsal and street football has been responsible for helping develop the very best footballers in the world. We want to help recreate that right here in the UK. In order to accelerate development we believe that your child requires to enjoy the sport or activity whilst playing in a suitable and challenging environment that is appropriate to their age and ability. Children develop at different stages and our tiered sessions ensure that your child will be grouped accordingly. A further invitation only session including advanced players from our academies across the country will be starting soon!!! We truly believe that our coaching programme sets Futsal Escocia apart from any other football and futsal coaching organisation. 3-5 years – FUTSAL ESCOCIA NINOS – An introduction to futsal. Educational and fun based. Learning the fundamentals. 5-8 years – BEGINNER LEVEL – Ideal for those at development level and for those that have progressed from the Ninos. 7-11 years – INTERMEDIATE LEVEL – A more challenging environment and a mix of advanced younger players and development older players. 9-12 years – ADVANCED LEVEL – For the more technical and developed players. 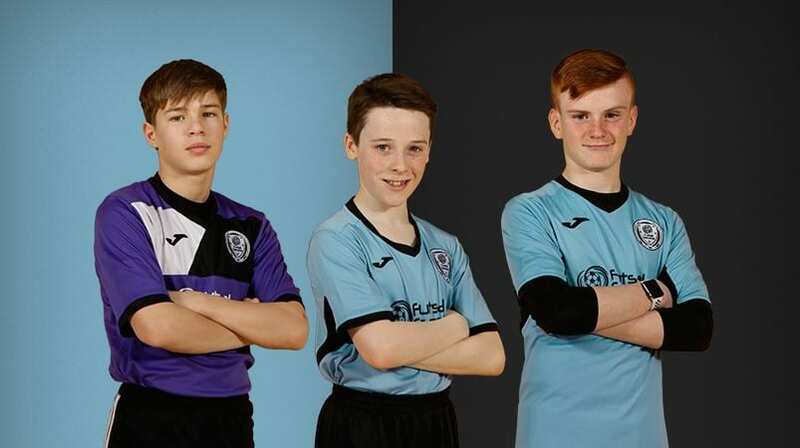 13-17 years – FUTSAL ESCOCIA TEENS – A vitally important group, keeping children active and involved in a team sport during what can be a distracting period in their lives. ”During my childhood in Portugal all we played was Futsal. The small playing area helped me improve my close control, and whenever I played Futsal I felt free. If it wasn’t for futsal, I wouldn’t be the player I am today. ”As a little boy in Argentina, I played futsal on the streets and for my club. It was tremendous fun and it really helped me become who I am today. ”In Futsal, you see whether a player is really talented. In normal football you don’t necessarily identify talent as early because it’s so much more physical. But with futsal, you notice the small details in quality, class and technical understanding. Brilliant and pertinent to futsal. Due to the holidays I expect numbers to be lower. Bring a friend along for free!! WE STILL HAVE LIMITED SPACES LEFT FOR NEXT WEEK.